The first lessons teaching the new linear A Level, designed specifically with the preparation of students for degree-level education in mind, will be taught in schools and colleges from September 2015. But this does not mean that we can expect those students admitted to university from 2017 to be significantly better prepared for our degree courses than they have been previously. This is not because of any fault with the A Level content, but because the idea that they are designed primarily to prepare students for degree-level courses is rather outdated. Nicky Morgan, the new secretary of state for education, will be responsible for overseeing the introduction of the new A levels. One of her first acts in post was to announce a consultation on further content changes. But the changes are unmistakably the product of her predecessor Michael Gove. The government’s own data reveals that in 2012-13, 48% of those who took an A level or equivalent level qualification did not go on to university. Figures for last year have been delayed until the end of August. To lump all degree-level courses together as something which a single qualification can prepare for is naive at best. Of the 52% of students who do go on to university following A Levels, 8% go on to study at research-intensive Russell Group universities at which they are likely to get a very different educational experience to those who attend institutions which are purely focused upon teaching or vocational courses. 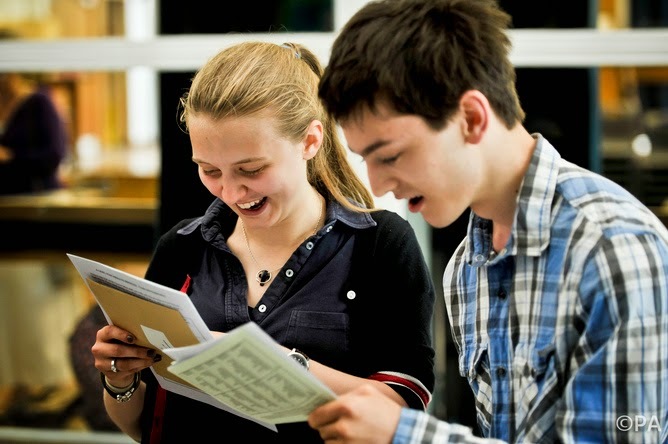 The A Level is a tool to further develop students’ core skills, but also to assess and grade them nationally. The strict syllabus and mark scheme enables the ranking of these students in as equal and fair a manner as possible. To believe it is possible for an A level to serve this purpose, while also acting as entry preparation for any degree-level course, is putting too great an expectation upon the qualification. The nature of the reform also fails to address the areas students need further preparation in. Courses taught in modules are not a problem for universities: most courses are taught this way. By delivering programmes in these smaller chunks, students are able to take the lessons learnt from the feedback provided for one module into their next, allowing them to critically reflect upon their performance and continuously improve. Retention of large amounts of information and subject knowledge in one’s head for a timed exam is again not something universities are particularly concerned about. Digitisation and easy access data has made memorising key details significantly less important. What is important is how one locates, assesses and uses that data. The desire to reform the A Levels has grown from a common misconception that there is some sort of skills gap between sixth form study and higher education. Yes, there is a significant difference in how a student is expected to learn and respond to assessment at A level compared to degree level. But the idea that sixth form education is failing to raise students to the necessary academic level, is a misreading of education. At degree level, students are not competing nationally, nor are they confined by a strict curriculum that all other students are following. As such, they have significantly more freedom to respond to assessments. While challenging in its own right, in many ways this is actually easier than performing within the constricting nature of the A Levels they took previously. So there is not a skills gap between A Level and degree-level – rather a skills disconnect. A Levels are doing something very different to a degree, and students need to adjust to this different style of learning and assessment when they undertake higher education. In my own subject, History, more than 50,000 students a year sit A level exams. In order to be able to compare and rank these students fairly the syllabus needs to be strictly controlled and the scope of students' responses fitted into a mark scheme. A description of the relationship between the British government and the East India Company would achieve basic marks, whereas an evaluation of the extent to which specific legislation – included in the syllabus – limited the company’s power would gain the student more. It is this narrow assessment which leads to accusations of spoon-feeding, where teachers train students to repeat the specific pieces of information examiners will reward. This is not the fault of the teacher or the student, or a failing of the A level. It is just the reality of a mass-examination system which seeks to compare students from a wide range of backgrounds. Once at university, where the student is no longer competing with thousands of others, the assessments can be less prescriptive. None of this is to say that students cannot and should not seek to ready themselves for the academic rigours of university while studying at sixth form. It is just that the A Level is not the best tool for doing so. One of the most significant developments in preparing students for higher education in the past decade has come from the consistent growth of the Extended Project Qualification (EPQ). This stand-alone qualification, which can be taken alongside a student’s A Levels, serves as the ideal introduction to higher education. At the University of Southampton, we have been doing all we can to actively support this qualification. We provide a range of free online materials for students and their staff supervisors, deliver workshops and host visits to our libraries and have formally introduced the EPQ into our admissions criteria. We have also created an online course designed to help students with their projects. Unfortunately, the ongoing budget cuts to the sixth form sector have made funding the EPQ more challenging for state sixth forms. It is not necessary to overhaul the whole system, rather better support what already exists.